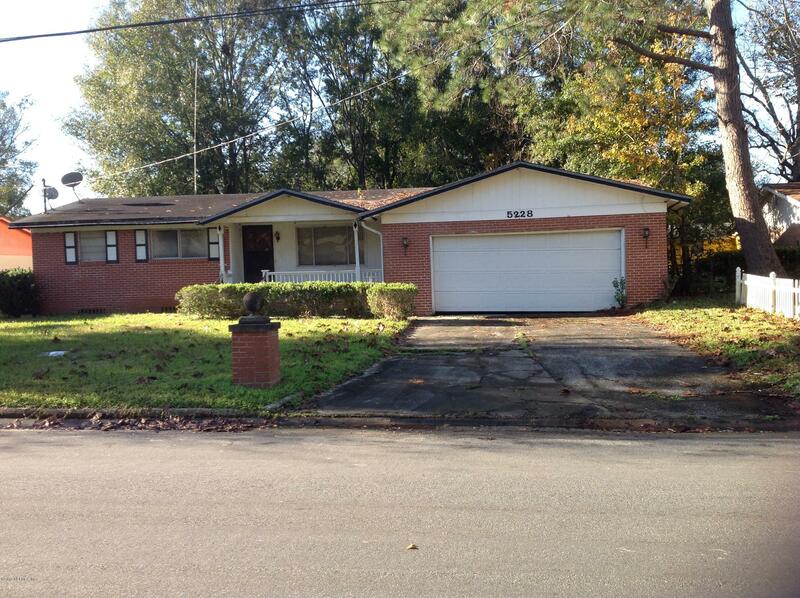 This lovely 3 bedroom, 2 bath brick home with 2 car garage needs some TLC. Located in nice neighborhood. Home needs new roof, some inside renovation, and window repairs. Fairly new installed central heat & air. Property sold as-is.Seller is installing a brand new roof. From US 1 North, Turn Right on Soutel Dr. Turn Right on Washington Estate Drive. Turn Right on Boilard Drive. Home is on Right. 5228 Boilard Dr is a 891 (*estimated) square foot home with 3 bedrooms and 2 bathrooms located in Jacksonville FL, DUVAL County. This property is listed for sale at $69,900 and is currently active and accepting offers.